Millennials — they’re different from any other generation of worker, and they’ll soon be the majority of the workforce. Because of this huge growth in population of millennial employees, employers have to adapt their business operations accordingly. Their differences from other working generations can pose challenges for employers, but they also bring new characteristics and opinions into the workplace that employers can integrate into their current operational structure and culture to bring about further success. From the ingredients in their food to their healthcare delivery, millennials crave transparency. They also want others to feel like they’re being transparent. While employers must be careful to not share any sensitive information, it’s important that employees understand the internal workings of the company and not feel like they’re blindsided by a company announcement or news. According to a study by Harrison Group, 72% of millennials would rather spend money on experiences than on material things. This is an important state of mind for employers to take to heart as company culture becomes more and more important to employee performance and retention. By placing emphasis on experiences, employers can make the company’s environment an enjoyable place for employees to return each morning. Outside of the office, millennials rely on social decision-making to drive their behavior. According to recent Boston Consulting Group data, millennials are more likely than other generations to shop, dine and travel in groups — whether it be with organized interest groups or informal friend/family groups. This collaborative tendency also comes through when millennials enter a workplace environment. By encouraging team collaboration, employers can ensure new ideas will be brought to the table and projects will be executed comprehensively. While they can often be perceived as self-absorbed, a strength is that millennials are very concerned with personal development. In fact, 94% of millennials said they made personal improvement commitments in 2015 — that’s 10 percentage points higher than Baby Boomers and 13 higher than Generation Xers. And when it comes to their jobs, they want that same opportunity, with 87% of millennials saying development is important in a recent survey by Gallup. When employers provide opportunities for professional development, millennials will seize them — and encourage others to do the same — which will only have a positive impact for the company as a whole. Millennials may be a whole new beast for employers, but there are some things companies can learn from their new generation of workers. 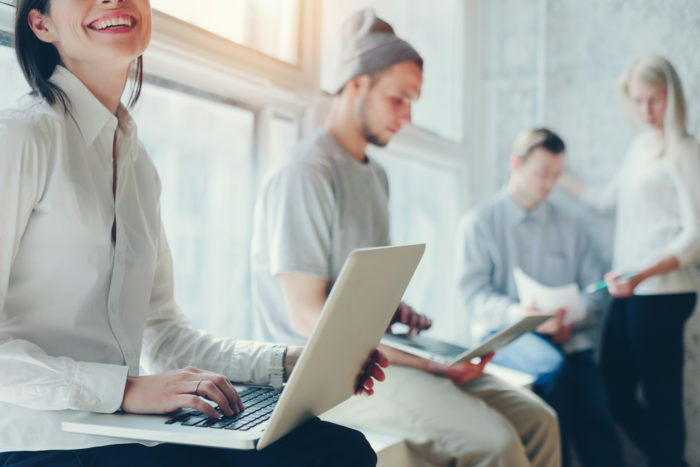 By being open to what millennials want in the workplace and in their personal lives, employers can find success in implementing new facets to their business operations. Do you have another value that you would you add to our list? Jason Carney is HR Director at WorkSmart Systems, which he joined in 2007. He has extensive knowledge in all aspects of HR, through his nearly 20 years of experience in industries such as finance, staffing, and technology. Jason holds a B.S. in Business Management/Human Resource Management from the Indiana University Kelley School of Business, and is a Senior Professional in Human Resources (SPHR). Jason has often been described as a “business-friendly HR person” who understands how employment decisions affect the bottom line. In his free time, Jason enjoys golf, coaching baseball, softball, football and basketball, and spending time with his family.